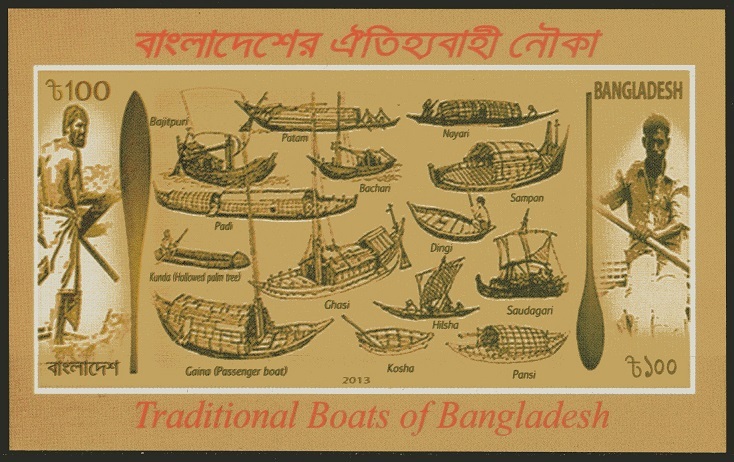 On a small sheet of Bangladesh, the vessel called "Ghasi" . 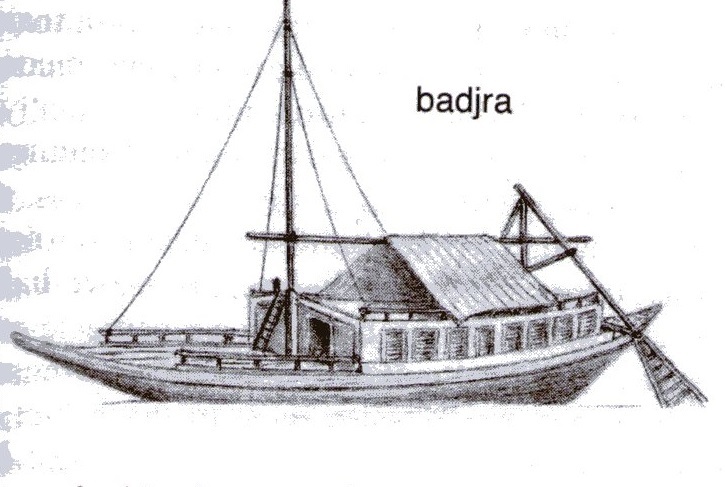 A Dictionary of the world’s Watercraft from Aak to Zumbra called "Вadjra". See the drawings. 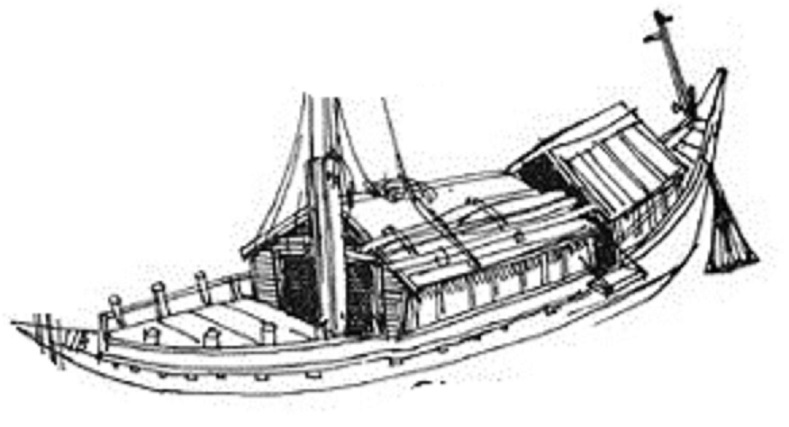 “Houseboat” on the Ganges River and delta area that was used initially mainly by local officials and for ceremonial purposes; some types carried cargo. Reported from at least the 16th century; still in use today, not only for living quarters but as mobile cinemas, for educational purposes, and by holy men collecting donations. Spoon -shaped with a high stern and low bow; bottom either flat or rounded, no keel. Large, low cabin aft, the amenities and construction commensurate with the status of the user. When used as a cook boat, 2 brick hearths incorporated. Bowers, as many as 16, worked forward of or above the cabin using bamboo oars with disc-shaped blades. Steered with a huge oar from the roof or by a large, triangular balanced rudder. When sailed, set a square mainsail with a bamboo yard and a topsail; mast stepped amidships. Crew of 9-16. Often accompanied by a fleet of smaller boats, e.g., a pallar as a kitchen boat and a small panshi as a tender. Reported lengths 7.6-18.2m, widths 2.44-5m, depths 1.22-1.88m; shallow draft. Bangladesh2013;100,0; Ms.SG? Source: A Dictionary of the world’s Watercraft from Aak to Zumbra.